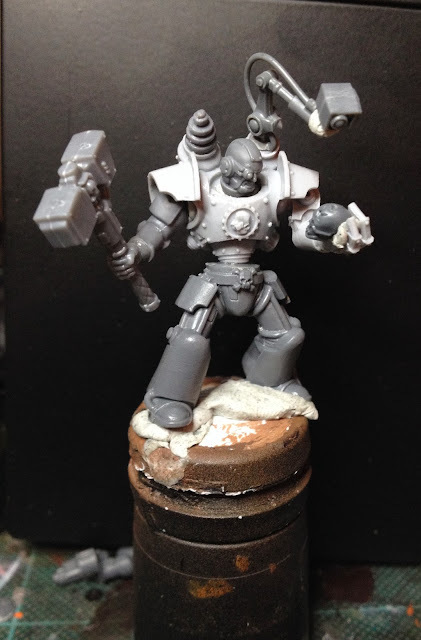 I really like the Iron Hands with all that grim-dark mechanicus stuff going on. One of the few marine chapters apart from Grey Knights (and a few others) I find truly compelling from a modelling perspective. Here's a take with a different pose and head. That is epic Jeff. Loving the pose. 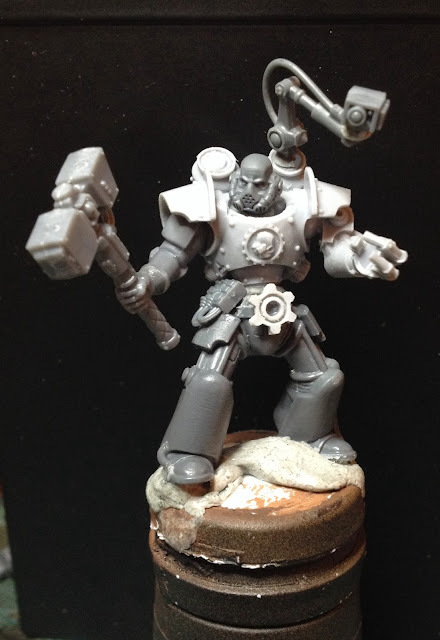 Similar to one of my honour guard I just put together. Thanks Eve! Send me a link to the honour guard when you've got pics - would love to see it. 2nd option gets my vote. Not a fan of the Megaman head of the 1st option. I too like the second one. The mask seems more cold and mechanical, as befits an Iron Hand. Copy that! Thanks for the input! 2nd option is really good. 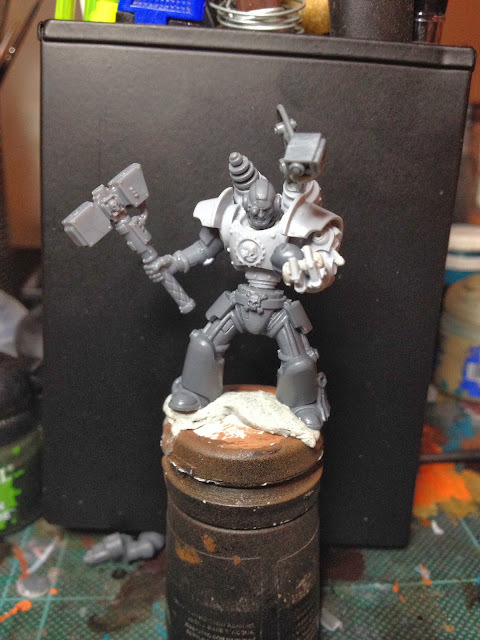 On little thing though, the hammer is standing a bit too much, I think lowering it to represent the fact it must be super-heavy could be an option. That is just my humble opinion and the only thing I would change on a otherwise excellent mini !